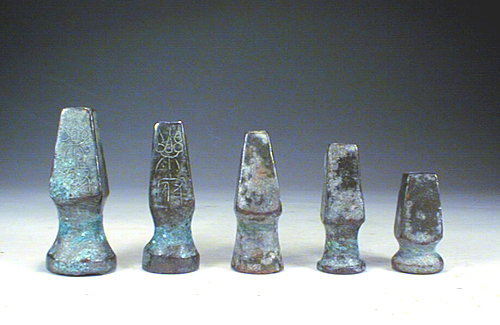 Bronze musical instrument parts, Han dyansty.Possibly use to hold strings on QIN. 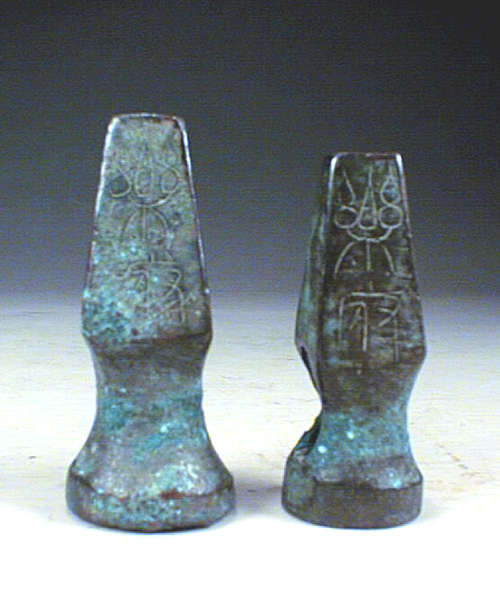 Chinese character engraving showing a word MUSIC in very old form, interesting pieces. 25 to 45mm (1 to 1.8 inches) long.